Hello and welcome to www.hpshop.ie. 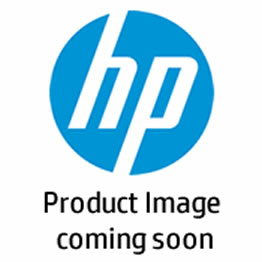 hpshop.ie is an Irish e-commerce website offering all HP products in one place. The website is supported by Hewlett Packard Ireland (HP) and all orders and customer service functions are fulfilled by Eurieka.ie. The website as the name suggests is dedicated to bringing you all HP products for procurements purposes. Eurieka.ie is a 100% wholly owned Irish company supplying IT equipment and related accessories including software and consumer electronics to our customers and is based in Ballymount, Dublin 12. We are a HP Gold Preferred Partner as well as a HP e-Preferred partner. Our customers include large businesses, SME's, Educational Institutions and private individuals or home users. HP is a technology company that operates in more than 170 countries around the world. They explore how technology and services can help people and companies address their problems and challenges, and realise their possibilities, aspirations and dreams. Applying new thinking and ideas they create simple, valuable and trusted experiences with technology, continuously improving the way customers live and work. No other company offers as complete a technology product portfolio as HP. Providing infrastructure and business offerings that span from handheld devices to some of the world's most powerful supercomputer installations. HP offers consumers a wide range of products and services from digital photography to digital entertainment and from computing to home printing. This comprehensive portfolio helps us match the right products, services and solutions to our customers' specific needs. www.hpshop.ie is therefore purposefully built so that each customer segment can fulfil all their HP ordering requirements on one website.